As the US mortgage rates continue to decline to new record lows, the refinancing activity for those who are eligible has been quite robust. Just when borrowers sign the papers for a new mortgage (particularly in situations when the bank covers the closing fees), they are ready to refinance again. Some households have done this more than once this year alone. You can see the refinancing wave by just looking at the weighted average life (WAL) of FNMA 30-year securities (Agency MBS). The shorter the average life, the more refinancing is taking place (if everybody in the pool refinances a year after getting their mortgage, WAL would be one year). 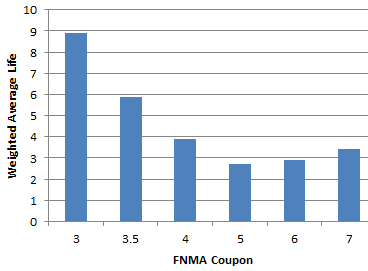 Here is what WAL looked like in March for different coupon FNMA bonds. And here is what it looks like now. 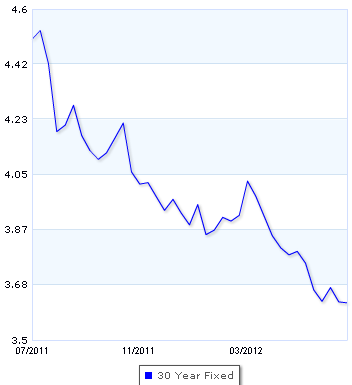 The 3% and the 3.5% coupon FNMA securities (roughly corresponding to 3.6% - 4.1% mortgage rates) WAL decreased by some 2 years in a short span of time. 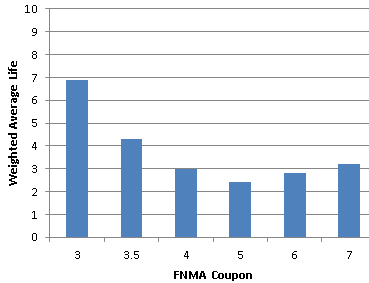 Note that the high coupon securities represent mostly pools of borrowers (who borrowed at higher rates some years back) that can't refinance because their mortgages are "under water" (low to negative equity). 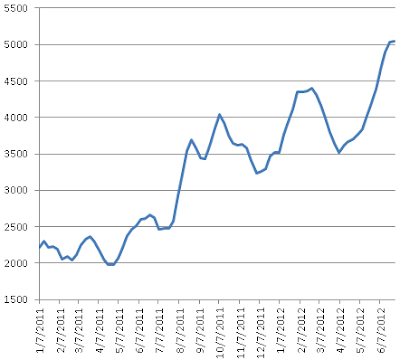 And the WAL declines in that part of the curve are barely visible. 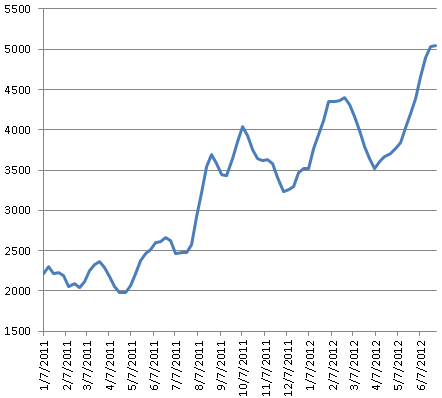 Mortgage applications for refinancing continue to stay strong as well. So far all this refinancing has not translated into material improvements in consumer spending, as savings from reduced mortgage payments simply help households further reduce leverage.